You are currently viewing Archived reports for the week of 21 April-27 April 2010. 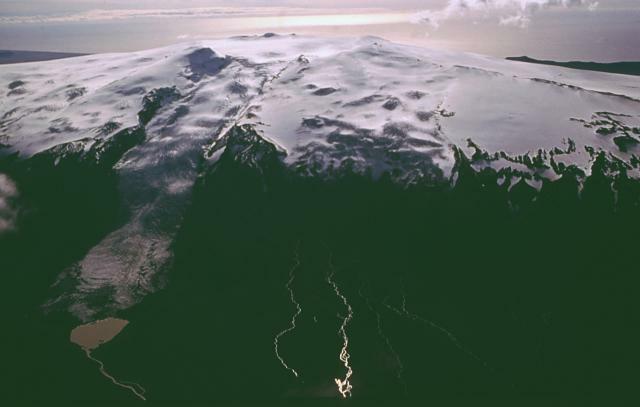 The Institute of Earth Sciences at the Nordic Volcanological Center (NVC) reported that the summit eruption from Eyjafjallajökull continued during 21-27 April. 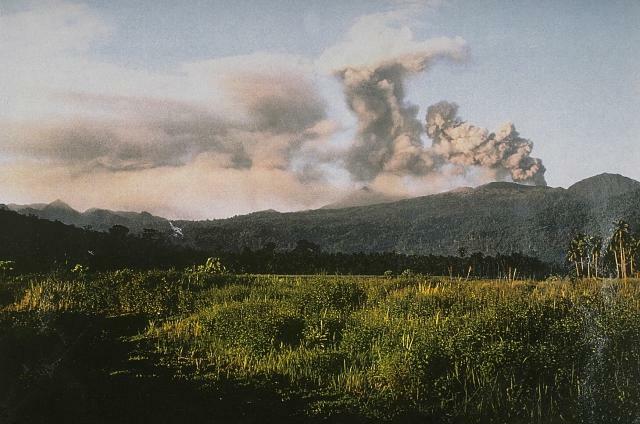 The eruption rate on 21 April was inferred to have been an order of magnitude smaller than during the initial 72 hours of the eruption, having declined over the previous few days. 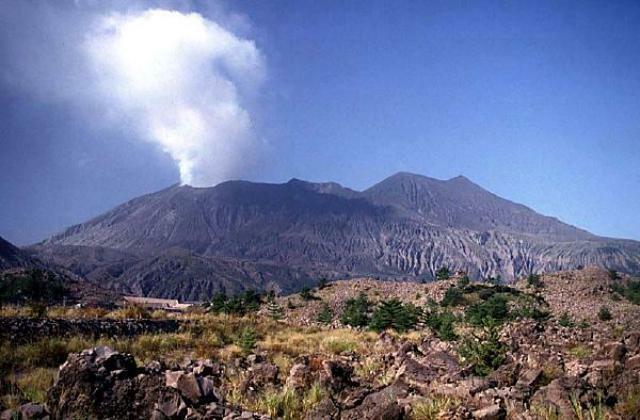 Phreatomagmatic activity with some lava spatter occurred from the northernmost of two craters in the summit caldera, generating plumes to an altitude of 3 km (9,800 ft) a.s.l. that drifted S. The emission of lava flows likely began around 1200 evident by the onset of semi-continuous meltwater discharge, steaming from the N edge of the ice cauldron, and changes in tremor amplitude. Similar activity continued for the next four days, although plumes sometimes rose to 6 km (19,700 ft) a.s.l. on 22 April. On 23 April changes in the wind direction pushed the plume NW, causing airports in SW Iceland to close. 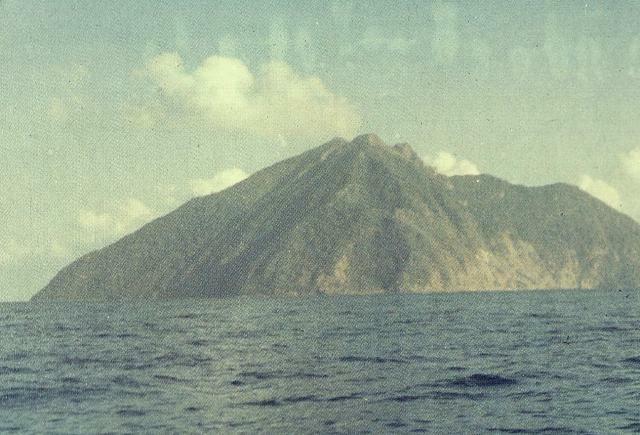 The next day, mild explosive activity ejected spatter 100 m above the crater and shockwaves were detected every few seconds; an ash plume rose 4 km (13,100 ft) a.s.l. and drifted SW. A depression in the ice, formed from lava flows that had advanced 400-500 m N of the crater, was 700 m long and steaming, especially at the edges. The N crater was active on 25 April. The eruption plume height was unknown due to meteorological cloud cover at 5.3 km (17,400 ft) a.s.l. ; minor ashfall was noted at two farms 10 km NW of the vents. Explosions were also heard at locations 10-15 km NW. On 26 April plumes rose to an average altitude of 4.8 km (15,700 ft) a.s.l. and drifted E. Radar data showed a tephra crater or cone continuously building on the N crater. The structure was approximately 150 m high and 200 m wide. According to news articles, flights from Iceland's airports resumed. On 27 April NVC reported that the eruption plume was seen during an overflight, and rose to altitudes of 3-3.6 km (10,000-11,800 ft) a.s.l. and drifted WNW. 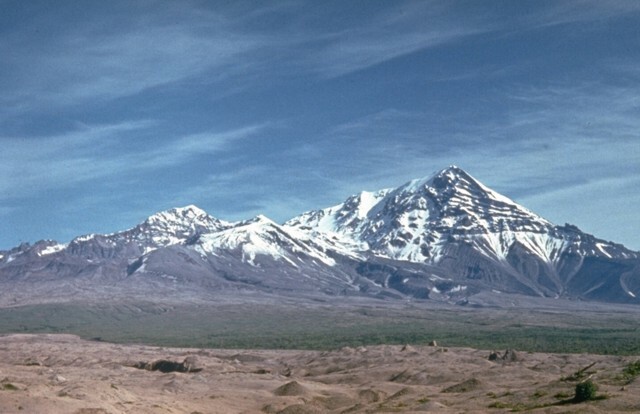 Light ashfall was noted in inhabited areas between 32 and 45 km W. Scientists also saw that a new crater had formed in the SW part of the caldera; the rim was about 50 m lower than the surrounding ice surface. Ash plumes rose from the vent and spatter was ejected 100-200 m above the vent. The lava flow front had advanced 1 km N from the vents. Flights from Iceland's airports were again disrupted. The IG reported that on 20 April scientists conducting an overflight of Reventador saw steam-and-gas emissions. They also observed an explosion generate a pyroclastic flow that traveled 200 m down the S flank. Deposits from previous pyroclastic flows were seen on the same flank. Explosions generated steam-and-gas plumes with low ash content during 20-22 April. 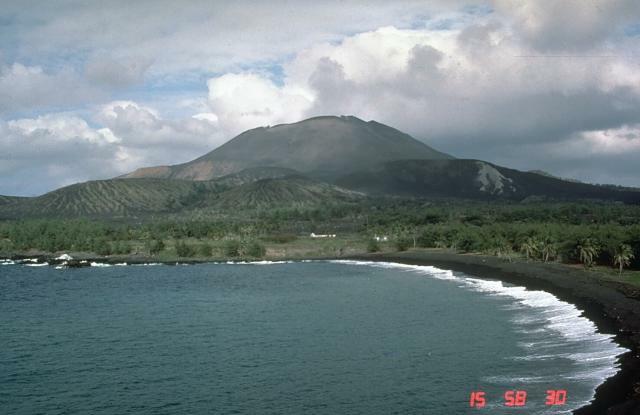 Weather clouds prevented views of the volcano in satellite imagery on 23 April, although a pilot reported that an ash plume rose to an altitude of 4.9 km (16,000 ft) a.s.l. On 26 April a steam-and-ash plume rose 500 m above the crater. 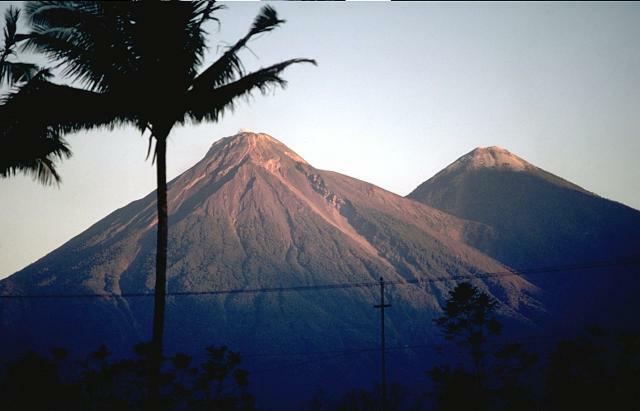 On 20 April, INSIVUMEH reported that explosions from Santa María's Santiaguito lava dome complex produced ash plumes that rose to altitudes of 2.8-3.4 km (9,200-11,200 ft) a.s.l. and drifted S and SE. 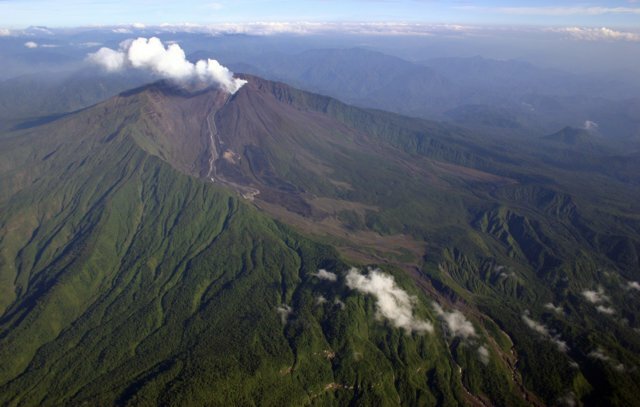 On 26 April, ash explosions and pyroclastic flows generated ash plumes that rose to an altitude of 8.3 km (27,300 ft) a.s.l. and drifted NW and N. Ashfall was reported in Quetzaltenango (18 km WNW) and other areas to the W, NW, and N. According to news articles, schools in 10 communities were closed and flights were banned from within a 20-km-radius of the volcano. Based on information from JMA, the Tokyo VAAC reported that during 14-26 April explosions from Sakura-jima sometimes produced plumes identified in satellite imagery. Those plumes, along with ash plumes occasionally seen by pilots, rose to altitudes of 1.5-3.7 km (5,000-12,000 ft) a.s.l. and sometimes drifted in multiple directions. Based on analyses of satellite imagery, the Darwin VAAC reported that during 19-20, 23, 25, and 27 April ash plumes from Bagana rose to altitudes of 1.5-3 km (5,000-10,000 ft) a.s.l. and drifted 35-85 km S, SW, W, and NW. Based on analyses of satellite imagery, the Darwin VAAC reported that during 25-27 April ash plumes from Batu Tara rose to an altitude of 2.1 km (7,000 ft) a.s.l. and drifted 45-85 km W and N.
The Darwin VAAC reported that on 27 April an ash plume from Dukono was seen on satellite imagery drifting 45 km NW at an altitude of 3 km (10,000 ft) a.s.l. On 26 April, INSIVUMEH reported that explosions from Fuego produced gray plumes that rose to altitudes of 4.3-4.6 km (14,100-15,100 ft) a.s.l. 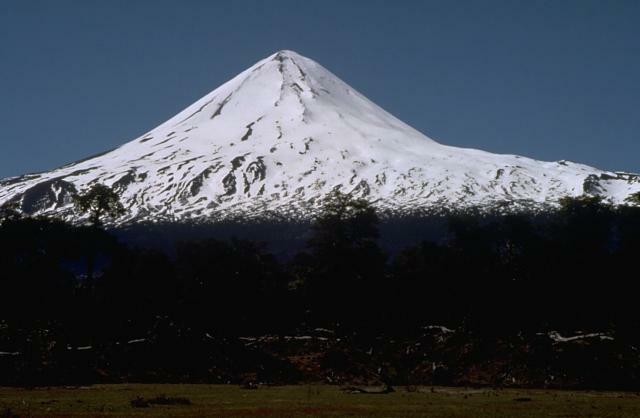 and drifted E. A few of the explosions produced avalanches around the volcano, and rumbling sounds were heard. KVERT reported that on 16 and 23 April seismic activity from Karymsky was at background levels. During 17-22 April, seismicity was above background levels and a thermal anomaly was seen in satellite imagery. 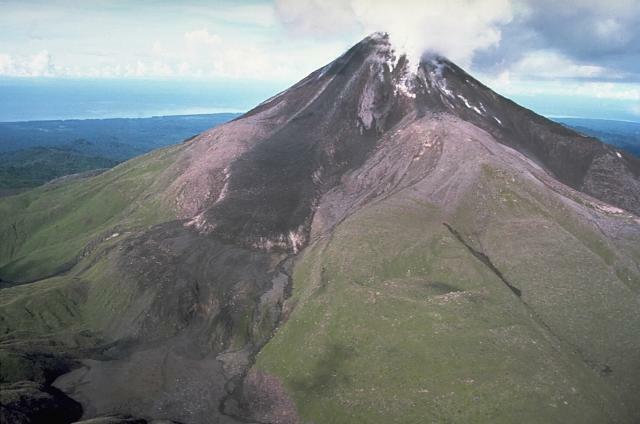 On 17 and 18 April, seismic data suggested that ash plumes rose to an altitude of 2 km (6,500 ft) a.s.l. Ash plumes were seen in satellite imagery drifting 40-130 km SE on 17 and 21 April. The Aviation Color Code level remained at Orange. 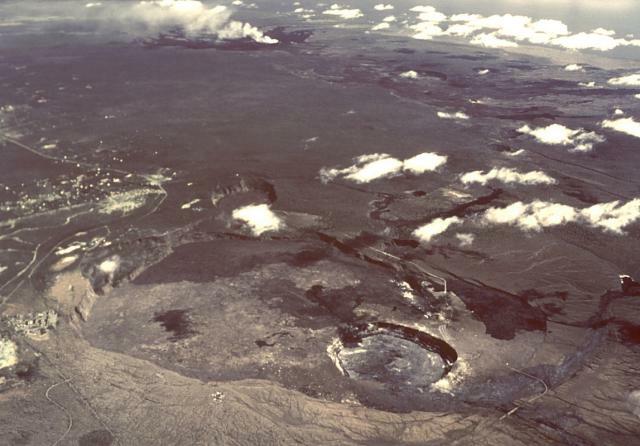 During 21-27 April HVO reported that activity at Kilauea continued at the summit and the east rift zone. At the summit, episodic rising and falling of the lava column continued at the deep pit inset within the floor of Halema`uma`u crater; glow from the vent was often visible. On most mornings the plume of gas and ash from the summit vent drifted SW, depositing small amounts of tephra near the vent. Sulfur dioxide emission rates measured at the summit during 21-23 April were in the 630-770 tonnes/day range. At the east rift zone, lava flowed through tubes to supply a surface flow that had advanced down the Pulama pali and onto the coastal plain, heading SE along the east margin of the TEB flow field. The lava flowed through vegetation, causing small brush fires and minor methane bursts. On 22 April a second lava flow to the W was also active. Two days later, the first lava flow appeared to have stalled. The W flow continued to advance, and by 27 April was within the County Viewing Area. KVERT reported that during 16-23 April seismic activity from Kliuchevskoi was above background levels. Strombolian activity was noted and lava continued to flow down the flanks. 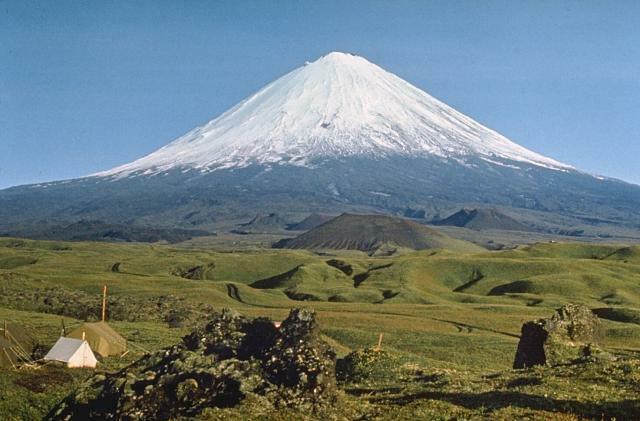 Gas-and-steam plumes rose to an altitude of 5.7 km (18,700 ft) a.s.l. Satellite imagery revealed a large daily thermal anomaly from the volcano, and ash plumes that drifted about 45 km S on 18 April. Gas-and-steam plumes drifted 90-100 km E on 20 and 21 April. Based on information from the Yelizovo Airport (UHPP), the Tokyo VAAC reported that on 27 April an ash plume rose to an altitude of 7.9 km (26,000 ft) a.s.l. and drifted W. The Aviation Color Code level remained at Orange. On 26 April, SERNAGEOMIN reported that seismicity from Llaima had increased on 15 April and that tremor was detected. The Alert Level was raised to Yellow, (Level 4) on a three-color scale. A gas plume from Pagan was seen in satellite imagery on 21 and 22 April (UTC). 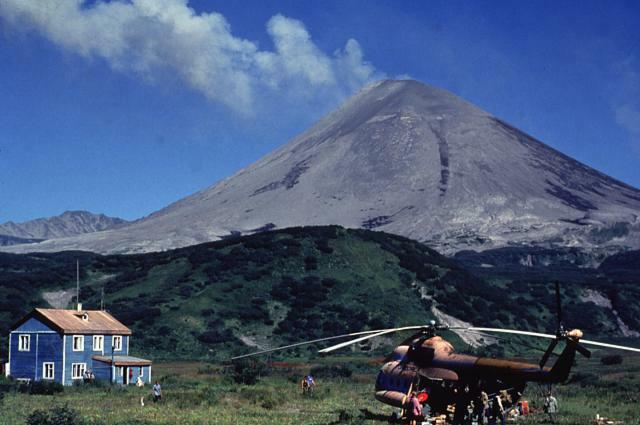 The Volcano Alert Level and the Aviation Color Code remained "Unassigned." There are no monitoring instruments on Pagan, thus the levels "Green" or "Normal" do not apply because background activity is not defined. Monitoring is done by satellite and ground observers. 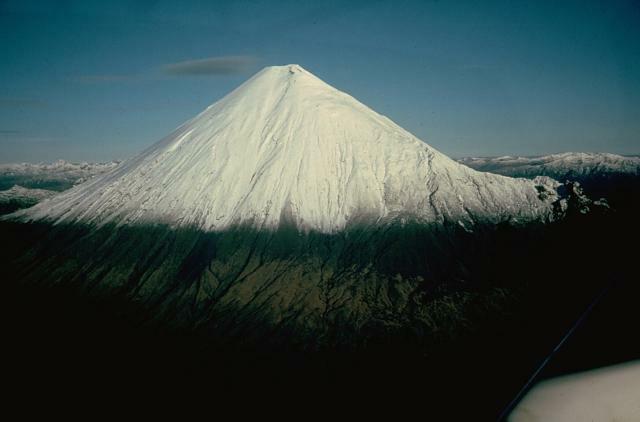 Based on a pilot observation, the Washington VAAC reported that on 21 April an ash plume from Sangay rose to an altitude of 6.7 km (22,000 ft) a.s.l. Ash was not identified in satellite imagery, although weather clouds were present in the area. KVERT reported that during 16-23 April seismic activity from Shiveluch was above background levels and ash plumes from hot avalanches rose to an altitude of 4 km (13,100 ft) a.s.l. 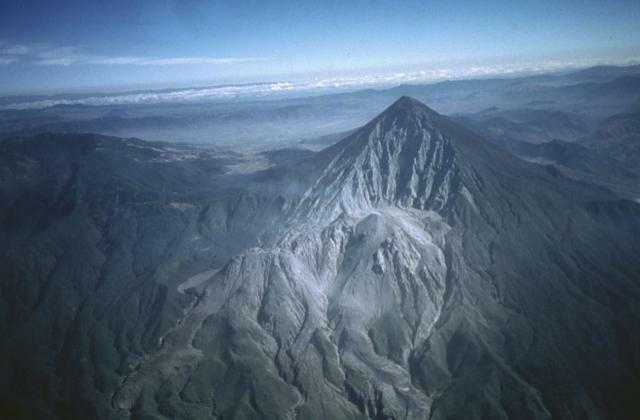 Seismic data suggested that ash plumes rose 4-6.9 km (13,100-22,600 ft) a.s.l. during 15-17 and 20-21 April. An ash explosion on 18 April generated an ash plume that rose to an altitude of 7 km (23,000 ft) a.s.l. Satellite imagery revealed a large daily thermal anomaly from the lava dome, and ash plumes that drifted about 50-220 km SE on 18, 20, and 21 April. The Aviation Color Code level remained at Orange.